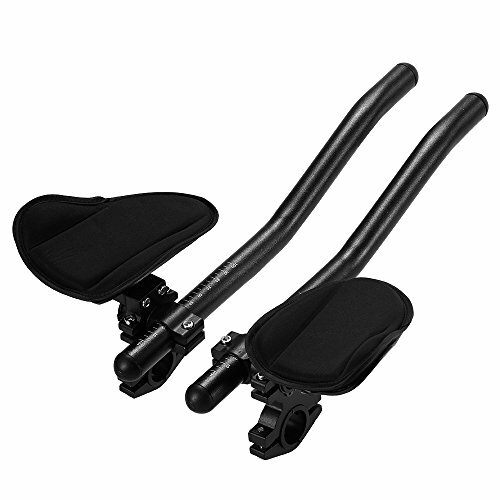 This rest handlebar is easy to install and the thick arm rest padding could be comfortable for your arms to rest after miles riding. Enjoy your riding with this practical rest handlebar. 4 * Semi-circular GasketHigh strength aluminum alloy construction, lightweight and durable with ergonomic disign for relaxation after a long time riding. Thick sponge arms padding for comfortable rest of your arms while easy to remove to clean with fastener tape design. Fit for handlebar diameter from 0.9in to1.3in. Easy to install and adjust the angle freely, use the gasket when install on the small handlebar. Suitable for MTB, road bike and so on. A good companion for riding enthusiasts.